It is no longer necessary to login to the Off Campus Access page to access the library’s resources. Many of the Baylor Health Sciences Library’s eResource providers are currently, or are planning to, update their online security protocols in a way that will no longer work with the library’s present Off Campus Access tool, Ezproxy. 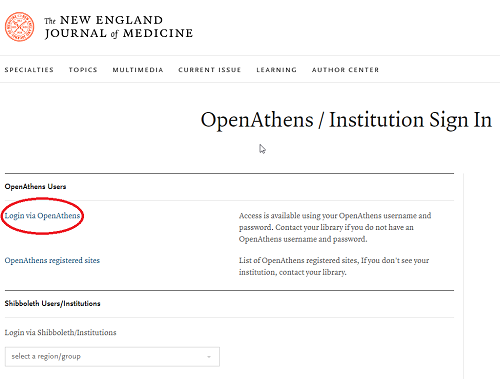 As a result the library has been working diligently for months to migrate our access to a new system, OpenAthens that will eliminate these problems. However, this update will change the access method of our electronic resources for all patrons both on and off campus. As of August 20, 2018, this new access system is in place for most of our eResources being accessed by users off campus. Changes affecting on campus access will continue to be made in the coming months. Users accessing eResources through Primo All Search will already see changes in the access method whether on or off campus. 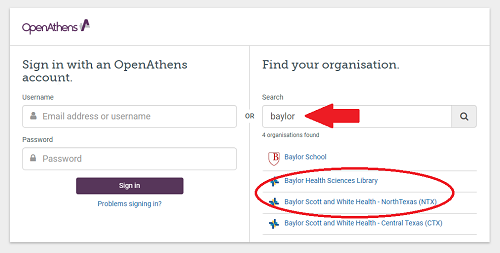 In the Find your organisation box type in “baylor” and hit enter. The result shows all matching institutions. Select the Baylor Health Sciences Library link. Alternatively, BSWH-NTX patrons could select the Baylor Scott and White Health – North Texas (NTX) link. In the pop-up menu, select the institution appropriate for you. 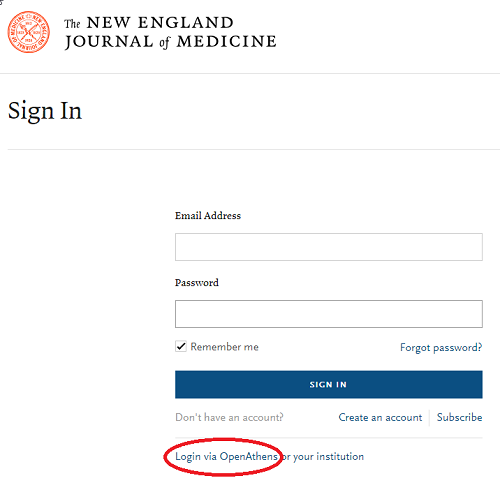 From here you’ll be directed to your institution’s single sign on (SSO) tool’s website where you can login using the credentials you use for all other on campus logins (computers, email, etc.). Please let the library staff know if you have any problems or questions by calling 214-828-8151. Thanks for your patience during this transition.